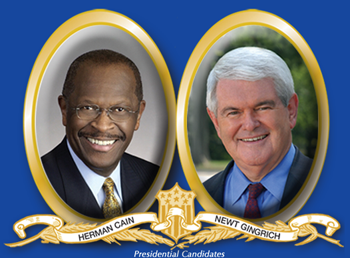 The Texas Patriots PAC is hosting a debate between Herman Cain and Newt Gingrich on Saturday, November 5th for a substantive discussion of the most pressing issues facing America today. The event will be held at The Woodlands Resort and Conference Center from 6-8:30pm. In response to Gingrich's expressed frustration with the standard primetime debate's "gotcha" questions, the Texas Patriots PAC Treasurer, Bill O'Sullivan sent the Speaker an invitation to participate in a one-on-one discussion with Herman Cain. The Texas Patriots PAC has a prior relationship with Cain due to his participation in their Tax Day Tea Party back in April. Texas Patriot PAC President Julie Turner explained: "This is a dignified forum. Herman Cain and Newt Gingrich will be sitting up there in two chairs having a conversation. It's not a fight. This is designed to get answers." The format will be a modified Lincoln-Douglas Debate. The debate will be an hour and a half long with meaningful discussion of government entitlements. The debate will be moderated by Iowa Congressman Steve King and Ben Streusand, Chairman of the Texas Advisory Board of Americans for Prosperity, who will ask questions regarding Medicare, Medicaid, and Social Security and include a presentation of Congressman Paul Ryan's plan. Each candidate will have the opportunity to thoroughly answer each question and then from there, question one another. "We see entitlement reforms as the single biggest issue facing the next President," Julie Turner said. "We designed this forum specifically to give candidates the opportunity to fully discuss their plans and to respond to questions raised by each other. This is not a sound-bite boxing match. This debate really changes the political process." Proceeds from this event will go to support the Texas Patriot PAC's mission to organize, educate and inform citizens regarding public policy, and to support the election of local, state and federal candidates who share their conservative values. "We must move away from seeing how many people we can get to a rally and move toward getting people who hold our values elected," Turner stated. "We have no interest in forming a third party. The natural home for conservatism should be the Republican Party. Our intent is to reform the Republican Party." 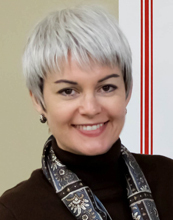 Julie Turner also explained the the Texas Patriots PAC works to reach people that are naturally conservative but that do not necessarily vote that way. This is not going to be a typical debate where one candidate is pinned against another for a ratings boost. This will be a unique opportunity for people to really get to know each of these candidates. Turner explained, "We are so impressed with the courage of these two candidates to talk about the big issues in depth, and the respect it shows for American voters."